Though quiet here, it’s been a busy time. I’ve written a guide to end of life care, for patients and families rather than doctors. More of that soon – it will be out in October hopefully. To brighten the mood after months of intense focus on dying, there are two gigs booked. Oskar’s Drum play Salford October 29th at the Eagle with Stephen Hero (me, solo) opening. We play London Oslo, November 3rd, opening for Brix and the Extricated. The second Oskar album is a huge dark beast, and we’re looking forward to playing a few of the new songs at these shows. It will be out early in the new year. Happy equinox everyone. Here’s to the darker days, if they could be any darker. This was a saga. Test pressing after test pressing. Put me off vinyl for life. Finally we got a company who could do it properly, but it took a year to make. A year for a 7″ single. Not like that in 1966, when I think this song could have been around. Obsession and desire in a wash of piano and guitars. And French horns and flutes. And a beautiful vocal from Tanya Donelly. It deserved a physical release I felt, and I’m so glad it’s finally come together. Here’s a slow film to go with it, walking up the steps of Hatshepsut’s temple on the left bank of the Nile. Next week you get the video for Anyone but Yourself, and the single gets mailed out. Thanks for bearing with us. We’ve made a video for The April Seven song ‘Platform Shoes’. 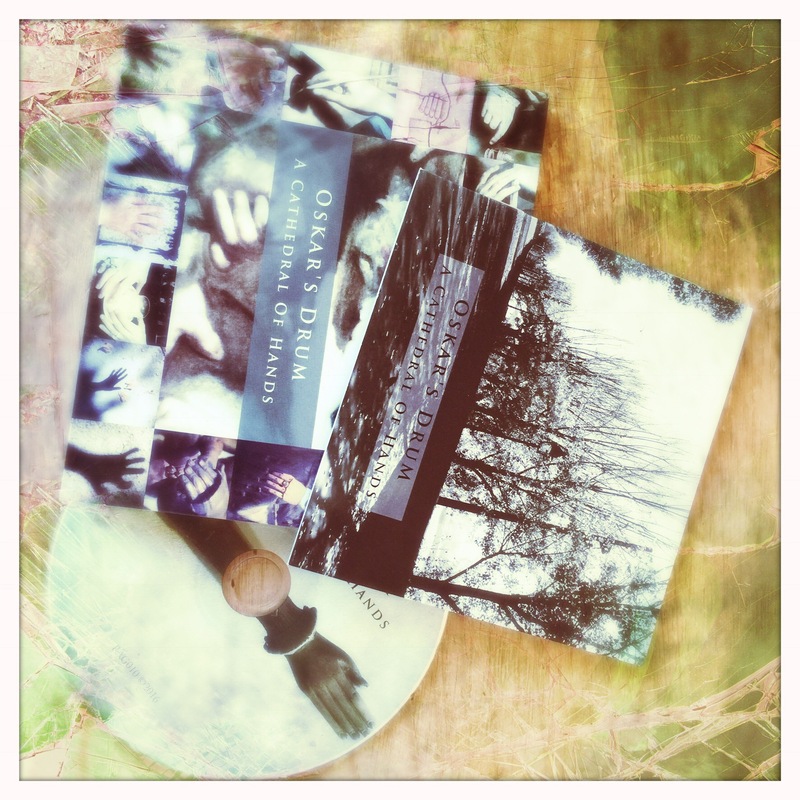 The CD of Pop Tarkovsky has been repressed and is available again from Bandcamp. I’m very fond of this song. Fred sings of our 70s youth, the foibles, the fashion, the New York Dolls, Bowie. What a great time to be a kid, such amazing stomping music. What an awful time to be a kid, playing fashion catch up, the mad switch from glam to punk. Fred was down in Southampton, dealing with the southern prejudices. I was at school in Rusholme, at the hands of the ruffians. Couldn’t wait to escape. Really glad to announce this 7″ single which has been some time in the making. It should have been ready last year prior to A Cathedral of Hands but the vinyl pressing plant we used were unhelpful. After much hassle it’s sorted and due for release March 17th via Bandcamp. 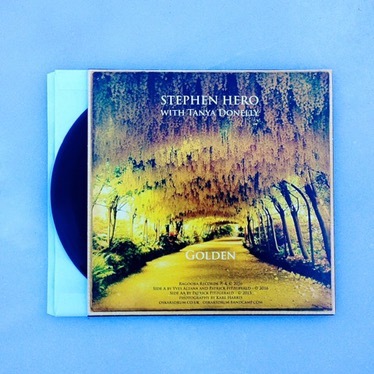 AA side Golden by Stephen Hero featuring Tanya Donelly on vocals. Golden had to be remixed and remastered for vinyl – not noticeable on download but more so on the test pressing. There is an accompanying video featuring Fern Smith which I will share nearer the release date. 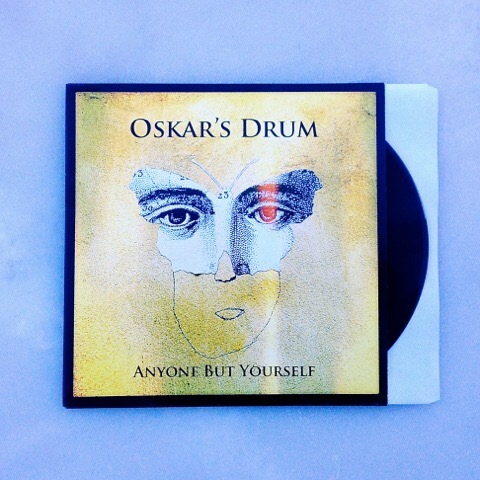 The single will also be available at the forthcoming Oskar’s Drum gigs. I wasn’t directly involved in this collection, as my historic relationship with OLI has not been good. I didn’t want to be party to something I didn’t have direct control over. That said, it’s a good job. It’s a mostly complete document of our time with the label, featuring great liner notes and photos. Missing tracks that some commentators are complaining about are either not owned by OLI, or due to band veto. We were never going to add in music that OLI didn’t own due to their inability to account to us. Tedious but practical. These caveats aside I’m really glad that our OLI songs have been collected in this way. A better overview than Capsule. Though I’m sure some commentators will add their tuppenceworth. The title is from the song In A Cave, which is probably my favourite moment with the band. Gigs? Of course not. Don’t be silly. And don’t be rude asking for something we can’t do. This really irks me. Like asking your dead relative to rise up and hug you. Thanks to everyone for their support of both of last year’s records. I’ve had a few emails asking for a repressing of Pop Tarkovsky. I’m happy to do this if there’s enough demand out there. Let me know. In the meantime there are two Oskar’s Drum shows coming up: March 17th Preston Continental and March 18th London Lexington, opening for the Railway Children. 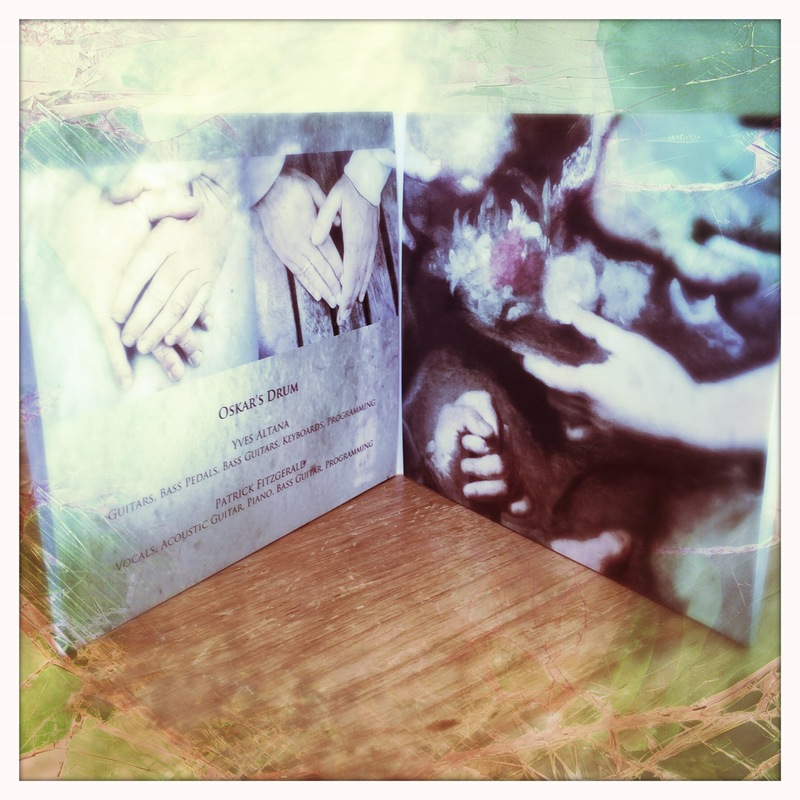 A Cathedral of Hands is released today via Bandcamp. £10 for the CD or £8 for the digital download. 10 new songs. The CD comes with an 8 page lyric booklet.